Diesel Truck Clutches -Solid Mass Flywheels, Heavy Duty Single Disc Clutches, Street Dual Disc Clutches and Competition Double and Triple Disc Clutches! Put a clutch in your truck that wont slip, chatter, throw disc springs, wear the flywheel or burn up pilot bearings. Pedal pressure is similar to (OEM) stock, on all street clutches, below 650 hp. 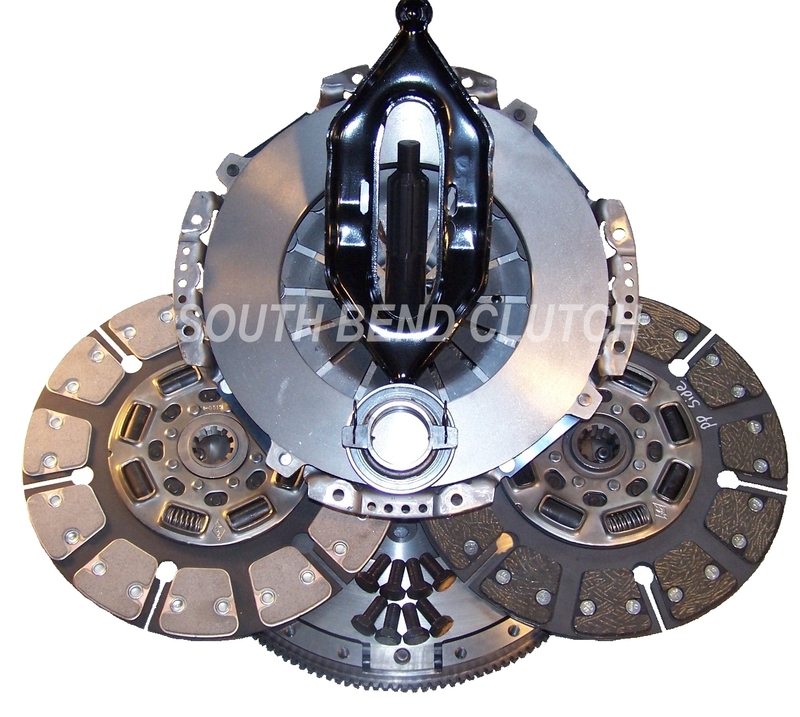 It doesn’t get any better than this, and you wont find a better made clutch kit than a South Bend Clutch. Diesel Performance Clutches Made In America! Dependable and Easy to Work With. High Quality Dodge Clutch, Ford Clutch, GMC Duramax Diesel Clutch Kits! Best Streetable Street Dual Disc Clutch on the Market! From Competition Sled Pulls to Drag Racing to Daily Driving to Heavy Towing, South Bend has a Clutch for Every Application. Diesel truck clutches: Ford Powerstroke clutches, Dodge Cummins clutches and Chevy GMC Duramax clutches. Heavy Duty Performance Clutch Kits for diesel pickup trucks. Single Disc Clutches with Solid Mass Flywheel upgrades, smooth organic heavy duty clutches, performance clutches in single and dual friction single disc clutches, dual friction dual disc and triple disc competition clutches from street use to drag race and sled pulling competition SFI Approved clutches. Clutch repair kits and flywheels, input shaft upgrade, replacement hydraulics with adjustable master cylinder. For Brute Strength ,we feature Cryogenically Treated Competition Double Disc and Triple Disc SFI Approved Sled Clutches. and also offers Cryogenic Freezing- SBC cryogenically freezes strategic parts of their high performance competition clutches to reconstitute the metal for superior strength and durability. This process realigns the structure of the molecules so that they are perfectly aligned and have greater strength and integrity. Cryogenic Treatment is available for other SBC applications--call for more information. We supply Dodge Cummins Clutches, Ford Powerstroke Clutches and Duramax Clutches, ranging from stock replacements to competition triple disc Iron Giants capable of handling whatever you can throw at them. The Dodge Cummins Clutch SDD3250 and HD series are the top sellers with good reason. They are the BEST. The Ford Powerstroke Clutch SDD3250 have a redesigned flywheel, same top performance now with a $600.00 savings to you. GMC Duramax Clutches by South Bend Clutch offer the best high HP rating on the market. Dodge Cummins Clutches, Ford Powerstroke Clutches and GMC Duramax Clutches built by South Bend Clutch are # 1. You won't find a better diesel clutch and better people anywhere in the industry. When you have the right tool for the job everything comes together and starts to work in your favor. Which clutch is the best for your application?. First you need to know what kind of work you do and what are your needs, then determine the abilities of your truck. Is it a daily driver. a service vehicle, performance truck, sled puller, tow truck, welding rig, show truck, farm truck, toy hauler, hunting truck... There are a lot of variations of the American Diesel pick up out there and you should have no problem putting togather the right tool for the job. If you are a farmer running errands to town or coming off the field pulling a 30,000 lb. load of round bails, we are going to recommend a street dual - double disk like the SDD3250, rated at 650hp as the right tool for the job. Ad a goose neck, stock tailor, skid steer, wheel loader, anything 15000 lbs or more and this is the right clutch with the holding power you need to get it done. However,if you have a high horse power performance truck and you compete in drag racing / sled pulling and the like, an SFI approved competition dual or triple disk clutch to match the horse power you are generating at the dyno, is the better fit. On the other hand, lets say you pull a camper, boat or 5th. wheel which has a load capacity of 15K or less. South Bend's new 425 hp single disk,OK- HD series with 900 Ft. Lbs. Torque, is the optimal fit. Everything on this clutch has been built to a new heavy duty standard. The organic pads are thicker and wider and because they are organic, you will get the smoothest engagement. The OK-HD also uses the same 3250 lb pressure plate as the SDD dual disk,keeping pedal pressure to a minimum. What is really nice about this clutch is how well it works as a comfortable daily driver.Your wife will appreciate that. The pads on a clutch vary from the least aggressive holding power Organic to Feramic, Kevlar and Ceramic as the most aggressive. Organic slips easy and ceramic bites giving you an e mediate engagement of the clutch. This is the trade off between more holding power and easy driving. It is important not to install a high hp rated clutch in an under powered truck. A 550 hp single disk clutch in a stock vehicle is not going to perform at all the way it should. It is important to remember that a clutch with a higher hp rating does not always mean it is a better choice for your pickup truck and if your truck is 700+ hp, you won't find a proper fitting clutch with light pedal pressure . If you are pulling large capacity loads of 20-30k, on a daily basis, you should not expect a single disk clutch to last either. If you want a clutch to last, keep in mind that no clutch is bullet proof and you have to accept responsibility for some of the consequences for trying to do too much. When choosing a clutch, remember that No clutch is indestructible. It doesn't matter which brand or how high the hp rating, if it is not used properly, it will detonate. Get the right tool for the job and use it properly. It may be unreasonable to say that you expect to never have to buy another clutch, however you can use these guidlines to get your clutch to last. >Clutches have a hp rating that match or exceed the hp of your truck. The acception to this rule seems to be the 3250 dual disk street clutches, because they have been using them on stock trucks. >Pickup Trucks over 450 rear wheel hp used for towing purposes should be looking at Dual Disk street clutch. Single disk clutches will engage too aggressively and cause other problems. > Trucks over 450 horse power, at the rear wheels and tow a max of 15,000 lbs or more, on a regular basis, are best served through the use of a double disc street clutch. >Trucks which are used for competition should always use SFI approved clutches, that are dual, triple, or multi-disk. >It is important to realize that, when trucks are built up or modified for higher performance. or operated in access of the factory limits, a SFI competition or performance clutch is what you need and that the feel of that clutch is going to be different. Making the right choice for your truck can reduce these undesirable effects, however, in order for the clutch to hold and last some of these differences like the way a clutch slips, the way it sounds and the pedal pressure to disengage etc... are necessary in order to achieve the level of performance required,. This also will change in how a clutch feels or sounds and may be necessary to make the clutch hold and last. My truck only has 400 hp, so I just need a single disc clutch, but I want to sled pull once in a while. >I pull 20,000 lbs every day but I can't afford a double disc clutch. How many miles do you think I can get out of a single disc clutch? >This is the last clutch I ever want to put in my truck. It is important to understand the limitations of each clutch. If they are built to hold extreme hp, they might not be the most desirable clutch choice for a daily driver. So,I'll say it again, you should first make a decision on how you wish to use your vehicle with the understanding that one size does not fit all. It is your responsibility for what happens when you have the wrong tool for the job. >When purchasing, always remember that "No clutch is indestructible". It doesn't make a difference who manufactured it or the horse power it will hold. You can detonate any clutch by mistreating it. So be careful when choosing it and be reasonable when using it. That is how you get your clutch to last. Manual transmission trucks are more efficient,consistently get better fuel mileage and are more durable in many ways. When you work a truck hard ,race, or pull excessive weight, a manual transmission will out perform. Time for the maintenance after a long hard season of pulling, running in multiple classes, hooking up many times at one event , your clutch has just about had it. I'd say about 20-35 hooks would be a good season and a good reason to take a look at that clutch. You might snap some pictures and send it in to evaluate it for a rebuild. Peter is still rebuilding even some of the first original Dual Disc manufactured. South Bend has sold and he rebuilds them for a very reasonable price. In addition your clutch will be up dated with things like a newer Feramic compound to try, and updated sprung hubs. When you call Peter at South Bend, he'll usually say "Don't worry, we'll take care of it!" sometimes a BRAND new input shaft shows up , after sending the old one in for inspection. Peter said there were some that had flaws, so he wanted to swap it out before I installed it. That's customer service there! I guarantee your clutch will be as good or better than when you first bought it. Cryogenic Freezing can be applied to all Ford Powerstroke Clutches, Dodge Cummins Clutches and Duramax Clutches. Black Cloud Diesel is your source for high performance South Bend Clutches for your diesel pickup truck. Why do we say South Bend Clutch is a great company? It's an outstanding product. All in all, these products beat the competition, hands down. South Bend's innovative designs have proven over and over again, to out perform other manufacturers designs of Dodge Cummins Clutches, Ford Powerstroke Clutches and Duramax Clutches, in many ways. Competitive pricing, bullet proof engineering and clutches to fit all your needs, from SFI competition to daily drivers and great customer service. We have had "0" issues over the past 15 years. When our customers need help we are there and things get handled in a timely manor. 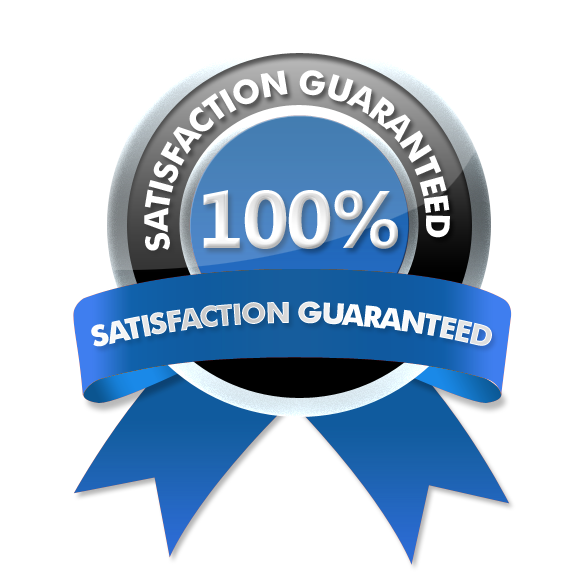 Literally every time we need help for our customers, we have been able to count on the manufacturing facility 100%. They are an American manufacturer of American made products. You may never find a better built clutch on the market. We have seen many other manufacturers attempt to copy South Bend's designs and because South Bend leads the diesel clutch industry. You will always get what you paid for. 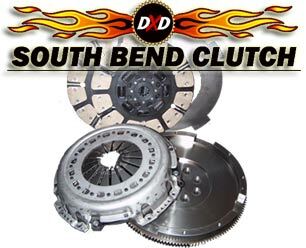 If you are looking for Dodge Cummins Clutches, Ford Powerstroke Clutches or Duramax Clutches, you may find one cheaper but you will not find one better than a South Bend Clutch.